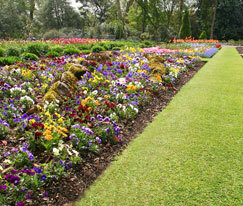 Runs through why an automatic Garden Watering System is the best way to water your garden. An over view of the irrigation system components and why we use them. TCR Watering Systems is dedicated to providing watering systems for residential gardens and is a division of TCR Industries Ltd. The staff of TCR understands that each of our customers’ needs are completely different, so each watering system we install is designed to meet your specific needs. Whether you would like a system for the whole of your garden or just a couple of sprinklers for your special borders or shrubs, TCR can help you. The staff who install our automatic watering systems, are dedicated to providing a cost effective service, and provides a tool that really benefits the garden. With offices in Surrey and Cheshire, TCR offer you local service with national support.